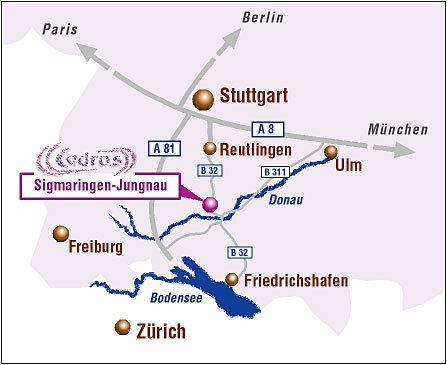 Stuttgart and Lake of Constance. 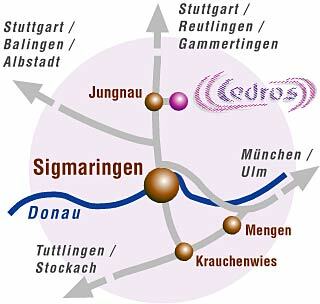 From [ B 32 ] , between Sigmaringen and Gammertingen, turn off in the center of Jungnau, following the sign "Cedros GmbH". After about 300 m you cross the rails and see the company building on the left side.